According to my annual tradition, I chose a word of the year in January of 2017. 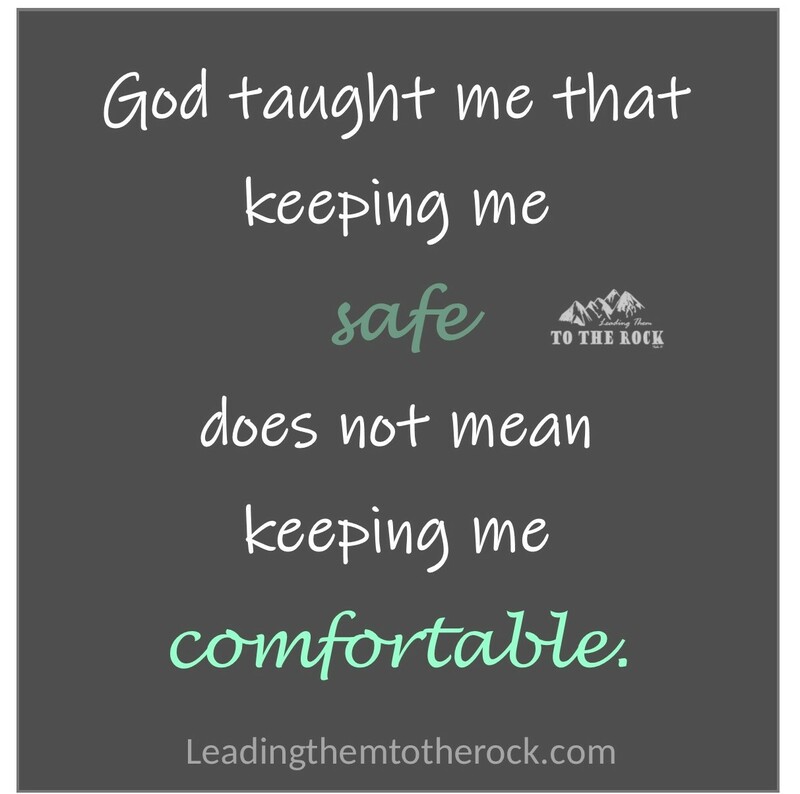 I felt God whisper the word to me, "Safe", and knew it was from HIM, but I had no idea how that would play out. The catalyst for this word choice was my frustration at watching my pattern of enabling and trying to save unsafe people rear its ugly head again. I had let down my boundaries to let an unsafe person into my mind and heart. I asked God for a word to help me heal from the pain of again letting someone use my compassion to manipulate me and people I loved. 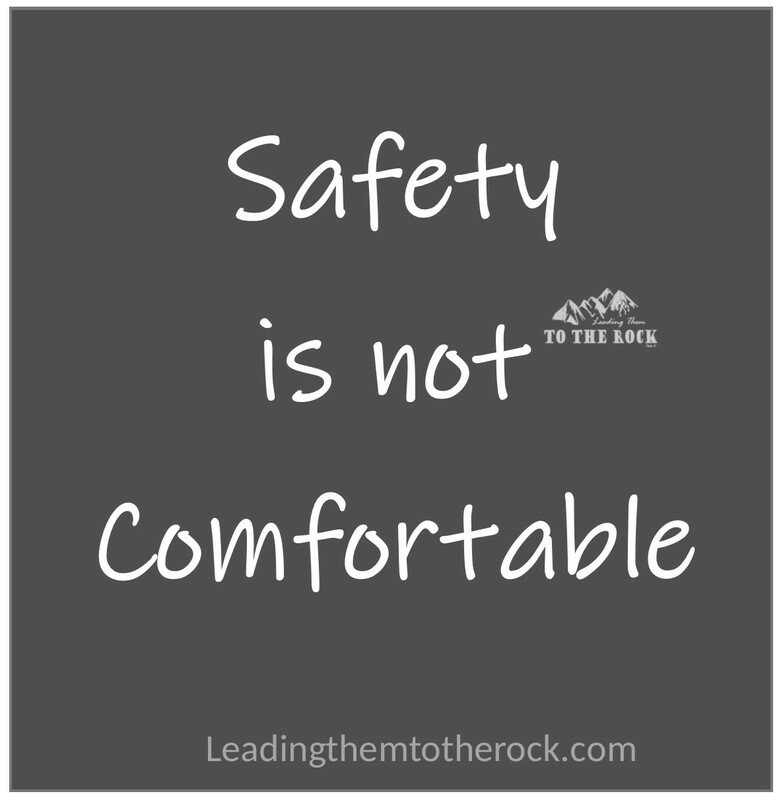 God told me the word SAFE in early January, and by the last week of that month, my husband and I began a year filled with more loss than I thought possible. I had never felt more unsafe. In the first week of February I had a severe health crisis that debilitated me. My loss of health led to a loss of my ability to engage in my life, my ability to parent, and my ability to homeschool for a season. The health issues led to severe & odd food allergies. This meant a loss all my comfort foods and countless opportunities to share a meal with loved ones. That summer, in just a 2 month period, we lost several of our most intimate friends/support system to relocation of their jobs. One of those relocated families was our Founding Pastor's family, which led the church into a never before seen transition, resulting in many of our church family members leaving our home church. We didn't think it could get worse, but we were wrong. As we began to get our feet back under us, in the fall came the worst loss of all, the unexpected passing of my husband's 36 year old beloved older brother, father of 4 young children. In the year I wanted to be safe, I felt more fear and pain than I had ever known in my life. Through all the pain and loss, I now see it had been a year of safety, but not the safe I was thinking. God used 2017 to teach me new definition of Safe. When I chose the word, I had envisioned the safety I associate with comfort; holding my babies to my chest while keeping them warm and loved. 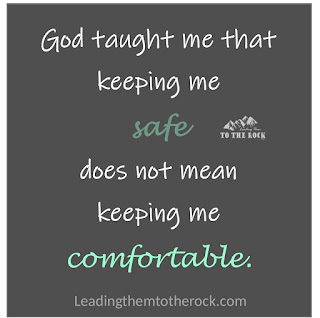 God taught me keeping me safe does not mean keeping me comfortable. The safety provided was the safety found in a battlefield; the safety of a shield that keeps you protected as blow after blow beats you down to your knees. The shield keeps the blades and arrows from piercing your heart, but you are exhausted as you think the metal will inevitably bend around you, molding to the shape of your battered body. As my heart grew faint, as the battle waged on, I held up my shield to protect me and I ran toward my strong tower, my shelter. 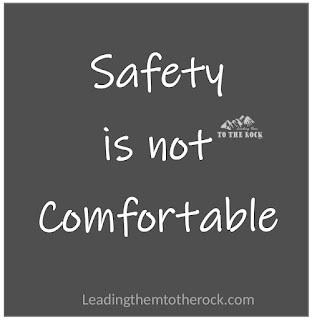 The safety that year I felt was the same David experienced in the caves as Saul sought to destroy him. The protection of a hard rocky surface at your back, no comfortable feather bed and freshly laundered sheets. A safe shelter can be a hard place that feels scary and foreboding, but in actuality is keeping you sheltered from the enemy that is seeking to kill you. 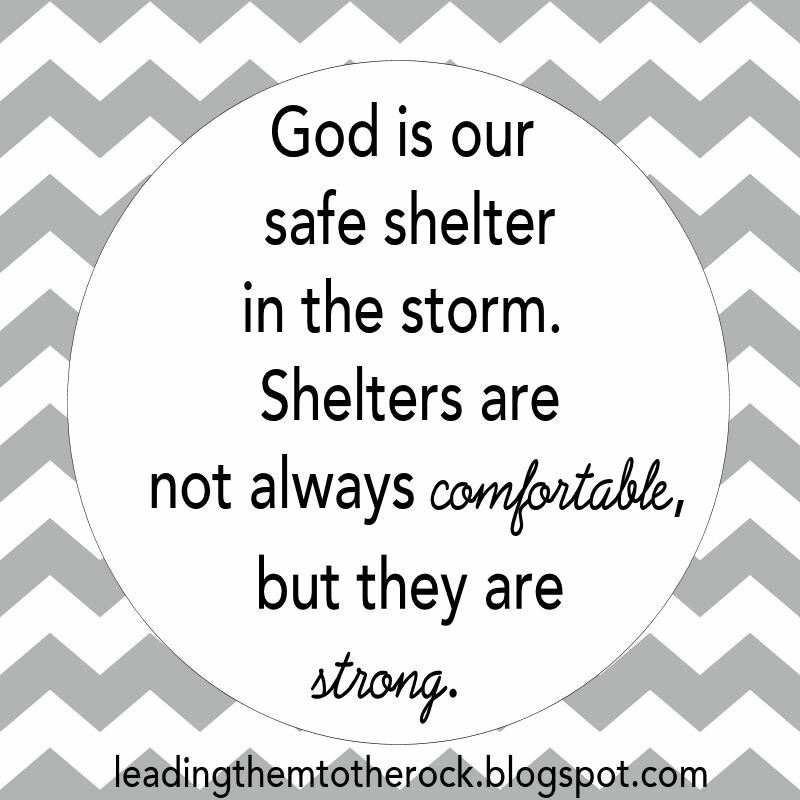 God is our safe shelter in the storm. 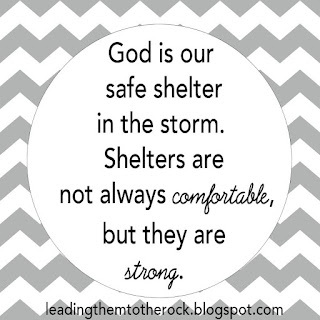 Shelters are not always comfortable, but they are strong. If you are feeling like you are in a battle right now, know that as a child of God, you are safe. You may have a hard rock at your back, and a heavy shield in front of you, but both are protecting you. Your arm is tired of holding the shield as the arrows just seem to never end. The rock feels hard and all you want to do it lay down to sleep on something soft and comfortable. I had so many moments of despair, wanting to put down my shield and just go to sleep, but remember that no enemy can break the metal of that shield. No enemy can bust The Rock that is protecting your back. You are safe.